The Montgomery Area Convention and Visitor Bureau works diligently behind the scenes to make sure your meeting is successful and leaves a lasting impression on your meeting delegates. Our staff can help you with your PRE-CONVENTION PLANNING, all your registration needs and LODGING REQUESTS. Montgomery offers many unique meeting or reception venues including the Montgomery Museum of Fine Arts, the Montgomery Zoo or Mann Wildlife Museum and any of the RSA facilities. A relationship between you and the CVB insures a successful meeting. The success of your meeting depends solely on your pre-planning. Our Convention Sales and Servicing staff will help you with all your meeting details. We will help you contact lodging properties and meeting or reception sites. The sales staff can also prepare and send out sales leads for your meeting and also coordinate site inspections. Our sales staff can also suggest a variety of entertainment for your guests or their travel companions. Together we can create a meeting plan just for you. 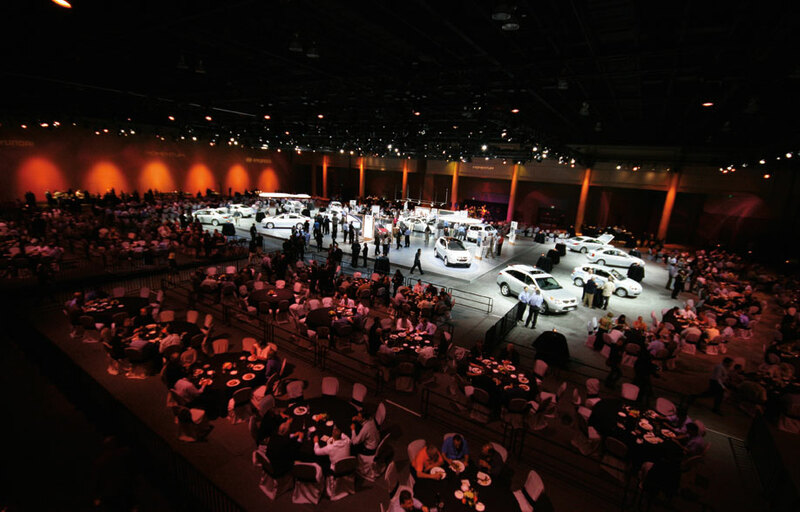 Convention Services will also help you determine how much assistance your particular meeting will need. The CVB will provide one registration person for every l00-room nights for a four-hour period, at no charge. Additional registration may be arranged. Please request registration assistance one month prior to your meeting. Each registration person will have a wide variety of printed materials and information about the city. Our Convention Sales staff will be happy to generate a lead to all properties that meet your requirements and assist you with any hotel overflow. If you have questions or any additional requests we will be happy to assist you. We offer bags and name badges depending on room nights. Our bags have the Montgomery CVB logo and are accompanied with a souvenir. Each group is given one souvenir per person and all items are subject to availability. Name badges are complimentary for l00 or more room nights. Anything less is a 25¢ charge per nametag. If names are to be printed, the list must be submitted electronically at least two weeks prior to the meeting. The CVB will also provide your delegates with Visitor Guides. Here they will find a complete list of attractions, restaurants, entertainment and general information about the city. We can also provide your group with a calendar of events so that they are aware of the city’s activities. The marketing/communications department can offer suggestions for media coverage during your event and/or provide a contact list of local media for press releases and news conference alerts. The CVB offers a wide variety of entertainment for your accompanying guests. Convention Servicing can help you create itineraries and assist you with planning several different activities and visits to local attractions. The Montgomery Area Visitor Center is a great place to start and provides guests with all the information they need on all the great things to see and do within the city. The CVB will be happy to send you a copy of our video. The video offers a comprehensive overview of Montgomery’s history and attractions. The CVB will also provide you with a variety of color images. Please contact the marketing/communications department for a complete list of photos that are available.